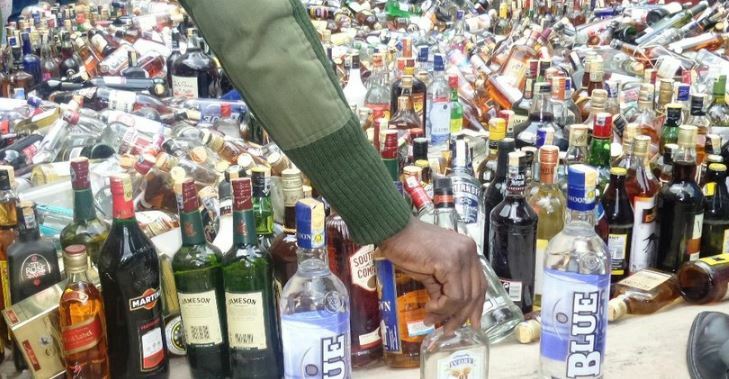 The old Kenyan adage, Pombe Sio Supu (Alcohol is not soup), could never be truer for one Benjamin, a promising Kenyan boychild otherwise known as Benja among his peers and drinking buddies. Benja, in an amateur video footage shared online to embarrass him and entertain us, completely lost his sh*t after imbibing one too many. We are meant to understand that Benja, after surviving a long alcohol dry spell was treated to free booze and could not believe his luck. Each sip he downed reminded him of the many other sips awaiting him and he, therefore, went H.A.M like he just didn’t care. He was like a guy from Ukambani chancing upon an oasis or like Moses during the crossing of the red sea, i.e, Benja alikata maji kama Musa. Okay, I may have exaggerated a little bit but you get the gist. It seems Benja’s rookie mistake was forgetting that for every action, there is an equal and opposite reaction. One DOES NOT simply ‘cut waters’ like the Kamba guy we mentioned earlier and expect the demons that haunt them not to come out to play. Unfortunately for Benja, his demons were on standby ready to report for duty. And report they did. They had Benja speaking in tongues and rolling and crawling on the floor from this end to that end like a scene out of an exorcism movie. Amid all the drama, Benja also managed to pull off his best swimming moves on the slippery floor. Were it not for his buddies, Benja would even have toppled a floor vase that was just looking pretty and minding its business in the corner. It is amateur drinkers like Benja who might make Mututho make a major comeback à la Michuki rules. I have digressed too far, just watch the clip below.